What Is The Best Way To SEO Optimize Blog Comments? The comments section is one of the most important part of any website / blog. It is where most of the conversation happens, so it can pay off to put a bit more thought into it. Sometimes, this section can be much more interesting than the article itself, and can give users a quick reality check as to whether the information they're looking at is actually worth it. You can improve the comments section on our website, and make it more SEO optimized for a greater benefit. Many blog platforms will give you the option of displaying all of the comments on one page, or breaking them up 5 or 10 per page. I prefer to show them all on one page and let the user scroll down. 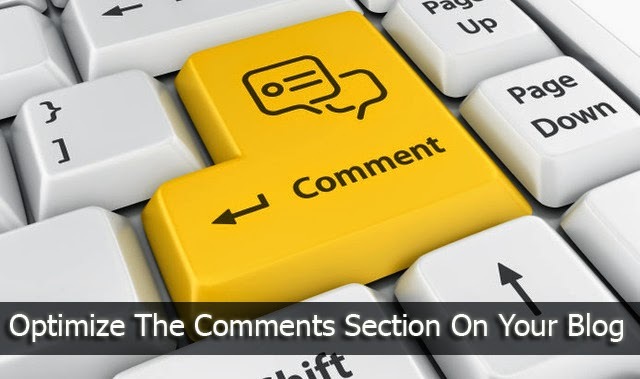 By doing this you are allowing for the content on the post page to grow and update with every new comment. This allows for high crawl frequencies of the post. However some sites, rely on CPM ad models which means that the more page views they get, the more their ad partners pay. As a result forcing the user to click through pages of comments make better business sense. If you choose to go this route you should handle pagination correctly by using the rel=next, rel=prev tags in the header. This way all of the pages of comments will be consolidated into one entity as far as the search engines are concerned. Thus cutting down duplication. There are a lot of really great 3rd party plugins and apps designed to make blog comments easier to use, and style. Some of these can help reduce spam, and make social integration easier. However they won't store the comments locally. This not only burdens your page load speed, but also poses a threat to your data, should the service suddenly go out of business. The app might not be able to support a new platform, should you decide to migrate. Keeping your comments on your server means that you will continue to own and control your data/content for as long as you like. Many platforms create weird URL parameters because of comments. These are the result of navigation links, permalinks, and sometimes “sort” options. The best way around this is to make sure that every post has a proper canonical tag in the head of the HTML. By doing this you are making sure that any inbound link to a comment’s permalink (happens quite often), will provide value to the blog post as a whole. The canonical tags will also avoid duplicated URLs being indexed. Hopefully the comments on your blog are from real people. ;) If they are real people, they likely have real faces! Therefore you should make sure that any avatars that you have for each comment is optimized just like you would optimize any other image. This might seem silly, but lets say that you have someone famous comment on your post! If their avatar is optimized correctly, then you are likely going to start ranking for that person + the topic of the post, with in image search. In fact some of the results for my name in image search, are from blog comments that I made years ago. Not many folks know this, but there is actually a defined Schema for blog comments. It might not be very important to Google, but, implementing it is very low effort and seems like it would be a smart move if one day Google actually decides to implement it, you will be ahead of your competition.